in Sydney, Melbourne, Brisbane, Gold Coast and Perth. Oh oh oh! Christmas is coming! Sun, beaches, summer and barbecues: Aussie Christmas is very different to Europe. But fear not, they both have something in common: the Christmas spirit! Our Go Study advisors give you 10+ activities to do over the Christmas break in Sydney, Melbourne, Brisbane or Perth to meet the real Aussie Christmas spirit! Experience the magic of Christmas! 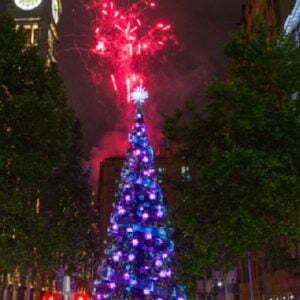 Sing along with choirs at the Martin Place tree every night, from 24 November to 24 December, 6pm to 8pm. Sydney has become pretty pro and throwing massive festive shopping sprees, and now Chippendale is joining in the fun with their brand new Christmas market. 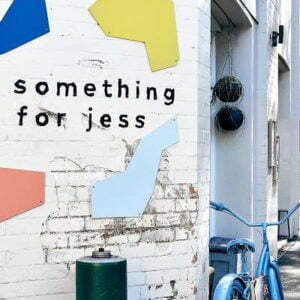 The inaugural event is being hosted by Something For Jess café on December 9, from 11am-3pm. Sydney celebrates New Year’s Eve in style with one of the largest, most technologically advanced fireworks displays in the world. 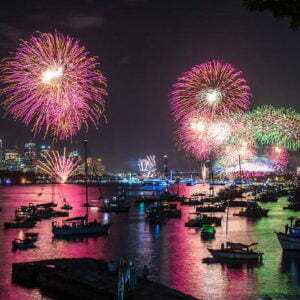 More than 1 million spectators view the celebrations along the Sydney Harbour foreshore, and the event reaches a global audience of more than 1 billion. All the best spots will be crowded quite early! Be prepared and organised! 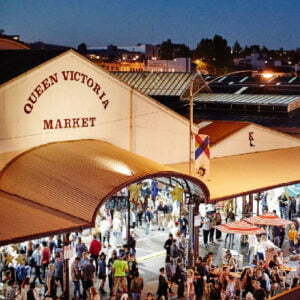 It’s a Merry Market Christmas at Queen Vic Market! This season, we’ll be embracing the Christmas spirit with loads of festive fun for the whole family including ice skating at the Air Canada Ice Rink, Santa’s mailbox, carols, sustainable gift-making workshops, a Christmas kid’s trail, plus visits from Santa Claus himself. The Market is your one-stop Christmas shop to stock up on seasonal food favourites, great gifts and stocking fillers from the wide variety of fresh produce and specialty merchandise traders. 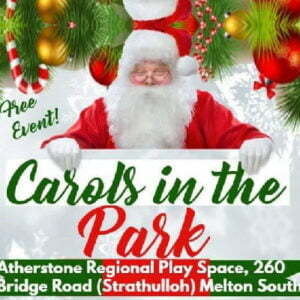 ‘Carols in the Park’ is an event that brings the community together to celebrate the birth of Jesus Christ. This year’s event will feature face painting, carols sing-along, BBQ, with by Santa and lots more. 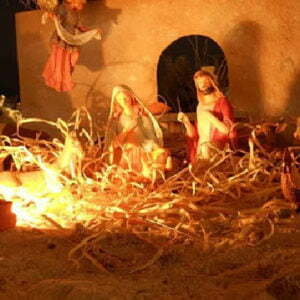 Wilson Fernandez the creator and artist at St. Elizabeth’s Parish has been creating the nativity crib scenes to capture the wonder and essence of Christmas & the birth place of baby Jesus for several years. Over the years, the traditional Australian Nativity Scene has drawn crowds from all over & all walks of life. The Nativity Scene has not only grown in display size but the attention to details is worth noting. With its enchanting narrative and creative flair, The Gold Lotto City Hall Lights has fast become a highlight of the festive season. 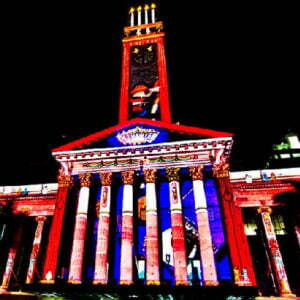 Watch a playful Aussie Christmas tale come to life via animation onto City Hall every 15 minutes from 7.30pm. Come and explore the magic of the Enchanted Garden at Roma Street Parkland this Christmas where a wonderland of glittering lights will mesmerise and delight all members of the family over eight nights. We all love our Christmas movies and picnicking along the river with family and friends. What better way to combine the two with Christmas Movies at River Quay in South Bank! Think all of the Christmas classics, including Elf and Home Alone. Bring a rug to sit on and pillow to get comfy. As the streets and malls fill with cheer, watch as the city lights up ready for you and your family to explore. 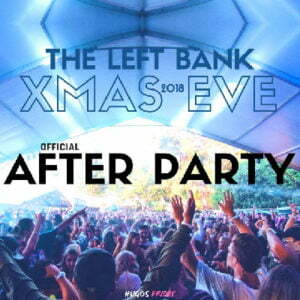 Are you hitting up the Xmas tradition XMAS EVE 2018 at The Left Bank? If you are you going to want to kick on into Xmas! And what better way to do it than the Official After Party. When we travel we leave family behind, and our travel mates along with the residents of the city become our new family. For Xmas we will party together. We’re heading to Perths favourite summer venue for our biggest party of the year! Appreciate Christmas vibes in Surfers streets from the 13th to the 24th of December with the visit of the Santa and some roving enterteinment. Let the magic of Christmas take over you with the Carols on the beach, under the stars at Surfers Paradise. Don’t miss the fireworks display at 8 pm! It’s well known, December is one of the best season in Australia for picnics. Pack your blanket, meet the Santa and enjoy the Burleigh Christmas Carols with some local food trucks and art & craft stalls in Burleigh Heads. Do you need late ideas for your Christmas presents ? Find unique gifts and handcrafted items from over 100 stalls and try some Christmas treats from their specialty foodtrucks. Be entertained by a Christmas outdoor movie, by a Santa’s arrival by helicopter, Christmas carolers and more!